"I am using an iPhone 8, but yesterday my iPhone screen suddenly became unresponsive after it fell from my hand. I can't even do anything on the device, even unable to unlock the screen. Is there any way to fix this problem? It will be better if I can keep all of my data. Thank You." It happens to a few of the iPhone users, the screen gets broken and they are unable to get into the device by entering the passcode. So, basically, you have no idea how to unlock iPhone with broken screen. Quite frankly, it is really difficult to unlock an iPhone with a broken screen but there are ways to do it. Both conventional and unconventional methods are discussed below; just go through them carefully to get the device fixed. Why It Is Hard to Unlock iPhone with Broken Screen? There are many iPhone users in the world who have experienced issues with the display and for them; it is a very difficult situation. Actually, it does not matter how hard they try, the device won't respond to them. It becomes a major problem when the main display goes out! They can't access anything on their devices because they can't even unlock their own phone. As it is a hardware issue, it tends to be a very hard and frustrating situation. But for some people, it can be an easy fix. Most of the times the issue occurs to repaired iPhones. Even though they were repaired from the Support Centres, still they might have problems. 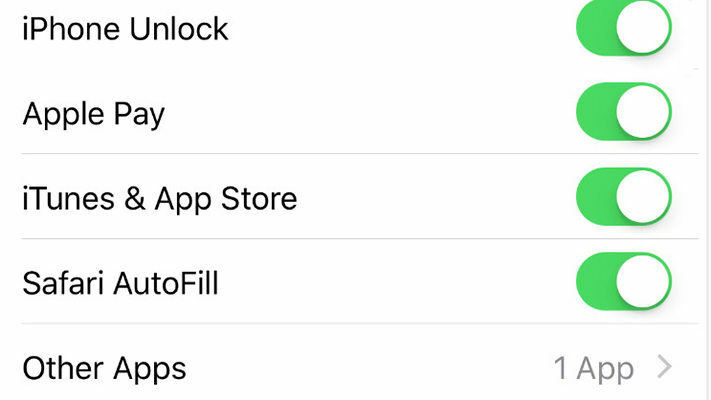 • If you use the iTunes app to unlock then iTunes must be synced with the device, to begin with. But in most cases that is not the case. Thus a failed attempt! • iTunes even fails to recognize the device, possibly because the device is locked. • The "Find My iPhone" option must be disabled so as to use iTunes. And finally, as the iTunes has failed to recognize the device, restoring with iTunes is out of the question. • The difficulties of using iCloud are very simple. If you are using a two-pronged authentication then the verification number will be sent to the iPhone, which will be impossible for you to access. • Lastly, the "Find My iPhone" needs to be enabled but if it is not then you won't be able to erase the device. These are only a few difficulties you can face when you are trying to unlock iPhone with broken screen. But no need to worry about it anymore, if you don't know how to unlock iPhone with unresponsive screen! You just need to read the next part of this article to know about one of the best ways to unlock a broken screen iPhone. If your device is suffering from broken or unresponsive screen and you have no idea on how to unlock iPhone if screen is broken then you can use a third-party software iPhone Screen Unlocker - Tenorshare 4uKey to unlock that iPhone. It can bypass iPhone or iPad passwords almost instantly. Only 3 step procedure and you will be able to access your device again. 4uKey is capable of bypassing any type of locks, like 4- or 6-digit passcodes; touch ID and even Face ID. It is compatible with the latest version of iOS and iPhones. Step 1: You need to download and install 4uKey on your computer. Step 2: Then, run the program on your computer. Step 3: After that, find a USB cable and connect the broken iPhone to the computer. Step 4: 4uKey will detect the device automatically. Now tap "Start". Step 5: Now, get the latest firmware package, choose a location and then click "Download". Step 6: After the firmware is downloaded, hit "Unlock Now" to unlock the device. The lock removal procedure takes several minutes but after that, you will be able to access the locked device. It is clear that users have a lot of trouble with broken screen iPhones. I also didn't know how to unlock iPhone 6 with broken screen. But there is no need to worry about it anymore as the article discusses the difficulties of the situation and the most effective way to get out of it. The very effective software Tenorshare 4uKey will be very helpful to those who can't access their iPhone because of broken screen. Highly recommended!